Fabulous pair of matching Art Deco men’s cufflinks depicting the side profile of a Jack Russell dog. 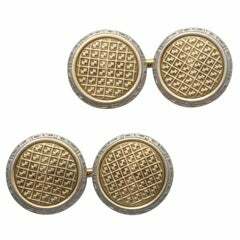 These charming cufflinks are ideal for the modern gentleman and animal lover. 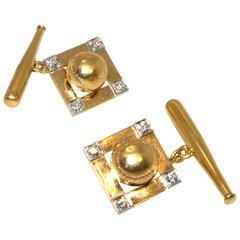 These cufflinks originate from England and are enamel decorated in a gold tone metal backing and chain. Condition is great with minimal signs of wear. All our Jewellery is sent out in a complimentary gift box. 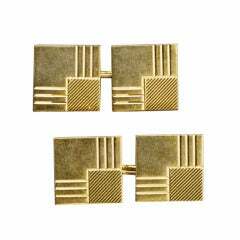 Art Deco 14K gold cufflinks with rounded jade squares connected by gold chains.